imagePROGRAF TX-4000 Print Quality Overview VIDEO | Industry Analysts, Inc. 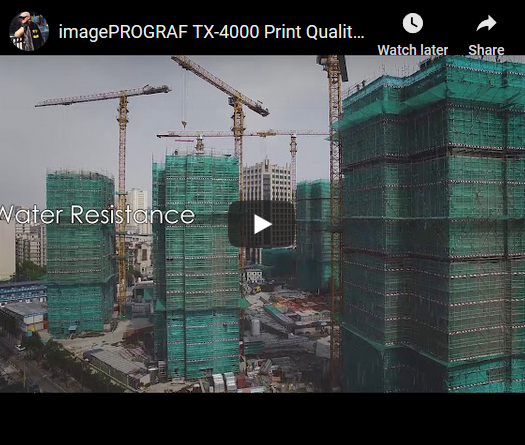 Developed to expand the production aqueous inkjet technical documents market, the 44-inch imagePROGRAF TX-4000 Large-format printer is equipped to satisfy the many diverse needs of architects, engineers, construction, GIS and other professionals. With speeds as fast as 3D sized drawings a minute, stacking of up to 100 sheets, wireless printing capability, automatic roll loading and an optional Multifunction Roll Unit, the TX-4000 printer offers greater productivity, usability, and document access control sought in the CAD industry. This entry was posted in Canon Wide Format and tagged cad, imagePROGRAF TX-4000, large format, Print Quality, wide format by IA Staff. Bookmark the permalink.